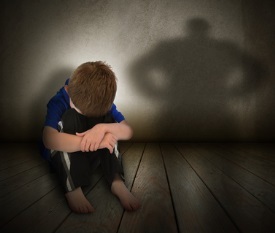 Tim introduces and comments about Carole Rafinetti’s explanation on how she has been using PSTEC to help school children with their bullying issues both from other students and teachers as well. Carole has really delved deeply into PSTEC Positive and PSTEC Positive Secrets in gaining fantastic results in helping others as well as helping herself with other issues. CLICK HERE and listen in to Carole’s PSTEC Interview on using PSTEC Positive for Super Learning, Improved Retention and Memory. I love your re frames and insights, your doing great work, if only all schools had someone like you to help. Andy Eckley PSTEC examiner & register director. I have been making progress with the click tracks. Thanks once again for the audio. Any other ideas on how to improve??????? Sorry, only saw this now. I think do what Tim recommends, clear all the strong emotion away then go for the Positive and Reframes. I really think the PP Secrets is a must as it unlocks so much about use of the positive tracks. It is an audio that needs repeated listenings as there is so much gold to be mined and you want every last nugget. Also remember what Tim says about repeating, compounding – don’t just do a positive track once, repeat it and repeat it and even say it as a mantra whenever negative things arise. Carole: PSTEC has made a big difference in my life……….PTSD…………..feeling like a normal human being now. Plan to tell others about your wonderful program. Great to hear that Peter. I really felt bad that I had not seen your post before so happy that we have made contact and that PSTEC is working so well for you. It is a tool for life. Hi Carole. Fantastic information. Great work and thank you for sharing.. I have been working in a large comprehensive school here in the UK now for over two years working solely with PSTEC and I would love to chat with you at some time regarding issues you talked about.. Maybe on Skype.? far to long to type. I recently had a young man (12 years old) who lost his Grandma suddenly and she had been his carer for most of his life after loosing his Mother at a very young age.. He was devistated and we got together and I had him bring in loads of pictures of Grandma and together we created a scrap book of all the loving memories for him to cherrish. Special writings/poems of his feelings were added and to focus on the possitives.. It has given him a loving more balanced feeling now and he’s working through the grieving prosess very calmly and in control of his emotions and feelings with the added help of the pstec possitives..We sit and write out the possitives together…It has certainly helped him in many areas.In our last session he came in proudly with his book and had so many ideas of new things to add. He went away with the bigest smile ever. Yes he still has the odd weep etc which is perfectly understandable…I can see him later in life chatting to his own children all about Grandma and showing off his book with pride. Keep up the great work Carole. Sorry, have only just checked this page. I had another young girl who had lost her mother last year and her family had told the school her mother must not be talked about as it distressed her. I did not agree with that and encouraged her to tell me all about her mother and we created a mind map all about her mother, how she looked, how she spoke, what she said. In a short while she started to refer to her Aunt, her carer, as Mum which seemed to indicate she was healing. The idea of a scrapbook is wonderful. I think many adults still think kids do not have that depth of feeling and that ignoring the issue will make it go away. Here is Carole Rafinetti's Strongest Recommendation! Click Here to check out Carol's strong recommendation if you are interested in Super Learning and Increased Memory.